User-generated content is an important tool for building brand recognition and trust. Today’s consumers find user-generated content to be 50% more trustworthy and 35% more memorable than any other form of media, and 25% of search results for the world’s 20 largest brands are links to user-generated content. But publishing user-generated content comes with risk. How do you ensure users portray your brand in the proper light, and what do you do to protect visitors from offensive or even harmful content? The answer is content moderation. A scalable content moderation process lets you publish high volumes of user-generated content while protecting your reputation, your customers, and your bottom line. Content moderation protects your brand — and your users. Whether it’s videos submitted for a contest, pictures posted on social channels, or comments written on blog posts or forums, there’s always a risk that a piece of user-generated content will deviate from what your brand considers acceptable. Having a team of content moderators on hand reduces the risk of visitors seeing content they may consider upsetting or offensive. Content moderation also prevents bullies or trolls from taking advantage of your brand online. Content moderation helps you understand your users. Another benefit of content moderation, especially for high-volume campaigns, is pattern recognition. By using your moderators to tag content with key properties, your team can gain actionable insights about the behavior and opinions of your users and customers. For example, by studying comments posted about its brand online, Listerine learned that its customers use its mouthwash for reasons they’d never imagined. Can you believe the second most mentioned use for the brand was to kill toenail fungus? By moderating your content with intent, you can protect your brand and your users while making data-driven decisions about new product and marketing campaigns. Content moderation helps increase traffic & search engine rankings. User-generated content can fuel your website, product reviews, and social channels. And what does that additional content do for your brand? It attracts more traffic. Not only are customers more inclined to engage with others, but search engines feast on the additional content. 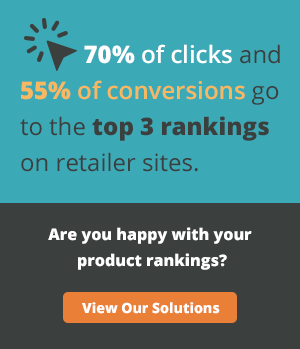 In other words, deploying a scalable content moderation strategy can equal more user engagement and better search engine rankings, which in turn leads to more traffic to your website. Content moderation helps you rapidly scale campaigns. User-generated content is an important tool to drive marketing and sales campaigns. Whether you want to host a contest, crowdsource an idea, publish customer photos, or get more reviews, having an efficient and effective content moderation strategy in place lets you rapidly scale these campaigns without worry of negative effects to your brand. Take Klip, for example. Their entire business model is dependent on the videos submitted by their users. To ensure their viewers aren’t exposed to harmful content, they needed a scalable way to review the content posted to their website. By utilizing the OneSpace platform, they were able to moderate 20,000 user-submitted videos in a day without hiring a single employee. The benefits of user-generated content are obvious, but until now, there hasn’t been an efficient and cost-effective way to monitor this content at scale. Enter OneSpace. Our virtual workspace and built-in network of freelance content moderators make moderation quick and painless. 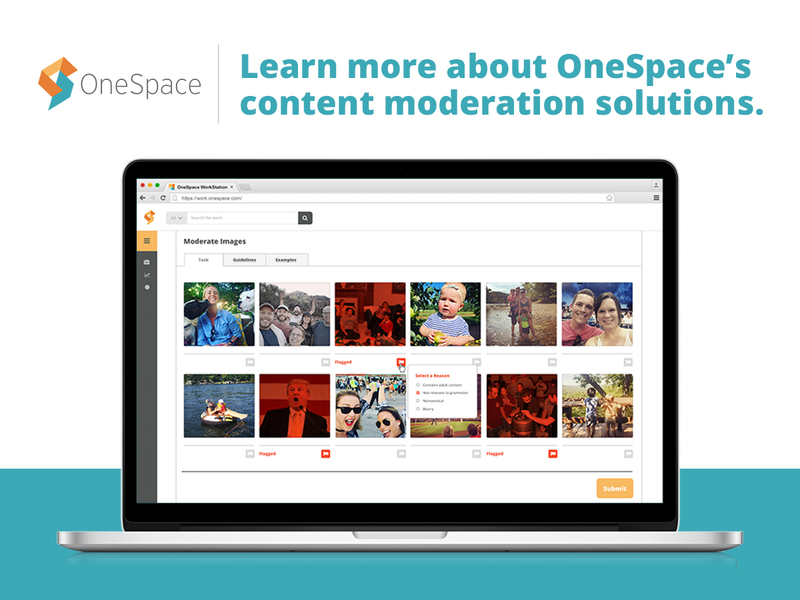 Whether you need to recruit more people to create user-generated content or you need a scalable and timely way to review it, the OneSpace platform can help you execute your entire user-generated content campaign in one central place. How do you moderate your user-generated content? What are the pain points, and what risks do you see in not moderating these conversations?